The Rotolift 3 is equipped with a shock and damping base. It is height adjustable and rotates through both directions. 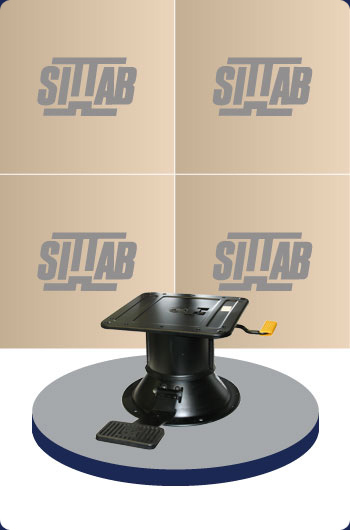 It can be mounted to most Be-Ge seats giving the operator optimal height and turning options. For further information, please contact Darby Manufacturing Ltd.